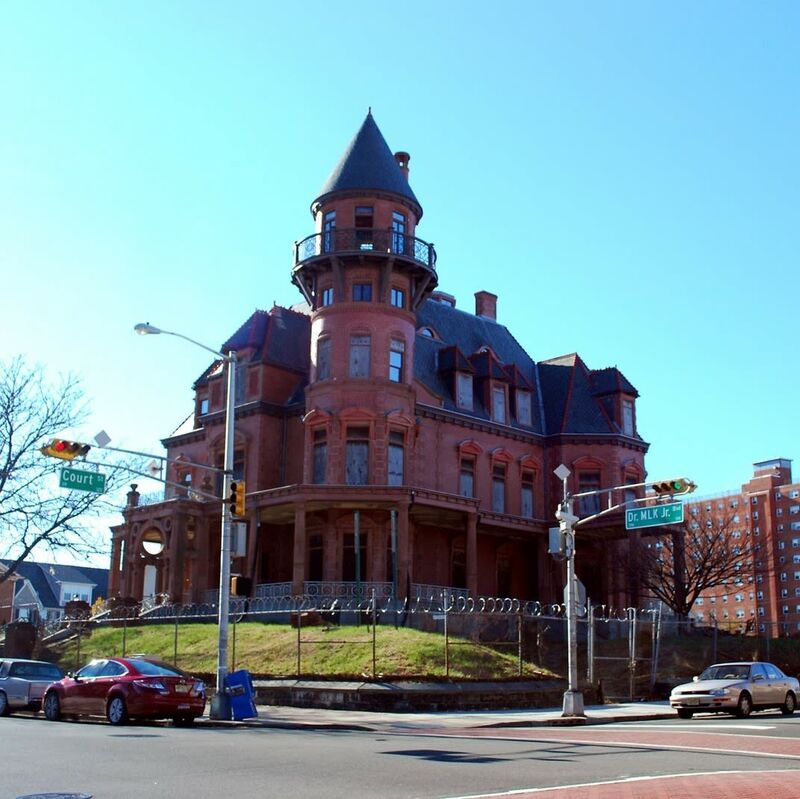 The quintessentially ornate Victorian-era Krueger-Scott Mansion, rising above Newark on Dr. Martin Luther King, Jr. Boulevard, is a long-neglected remnant of the city’s powerful industrial era. 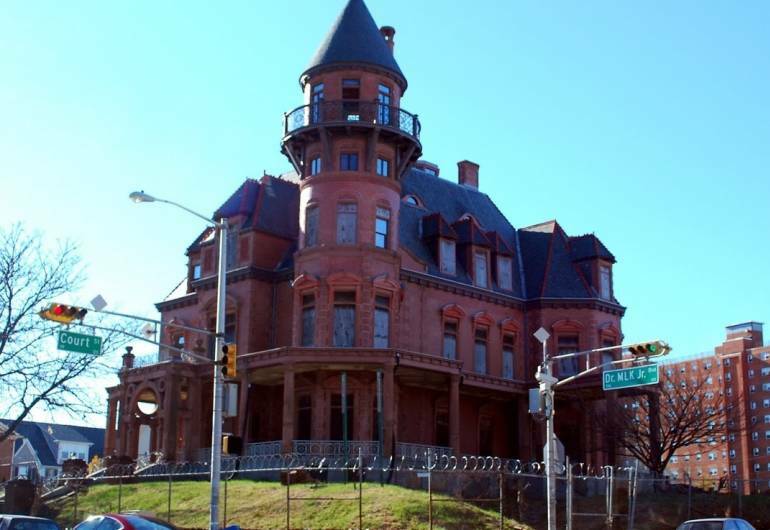 When the 26-room mansion was built between 1887 and 1889 by Gottfried Krueger, a German immigrant turned wealthy beer baron, it was the largest home in Newark. It was built on what was then called High Street, in the premier residential neighborhood for the city’s German elite. The story goes that Mr. Krueger told his unidentified architect to “outdo” the home of fellow Newark brewery owner and competitor, Mr. Ballantine. The mansion is said to have been inspired by the Baroque castles of Mr. Krueger’s native Baden, Germany, evidence of which can be seen in the intricate porch, the six elaborate chimneys, and most notably, the soaring turret. Extensive terra-cotta, sandstone, and cast iron trim, ornate cornices, and a picturesque profile exemplify the house’s High Victorian style. Despite vandalism and looting, equally impressive extant interior features include ornate plasterwork, wood trim and wainscoting, and parquet floors. The mansion was truly a symbol of Mr. Krueger’s “arrival:” it was the most expensive house ever built in Newark at the time, and boasted the initials “GK” in the sandstone portico and entry tile floor. The Krueger-Scott Mansion is listed on the State and National Registers of Historic Places.